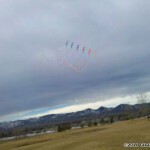 Flying with high spirits in Colorado! 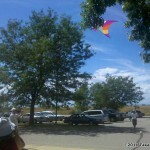 Next time you’re in Colorado, please don’t forget your Kite Bag! 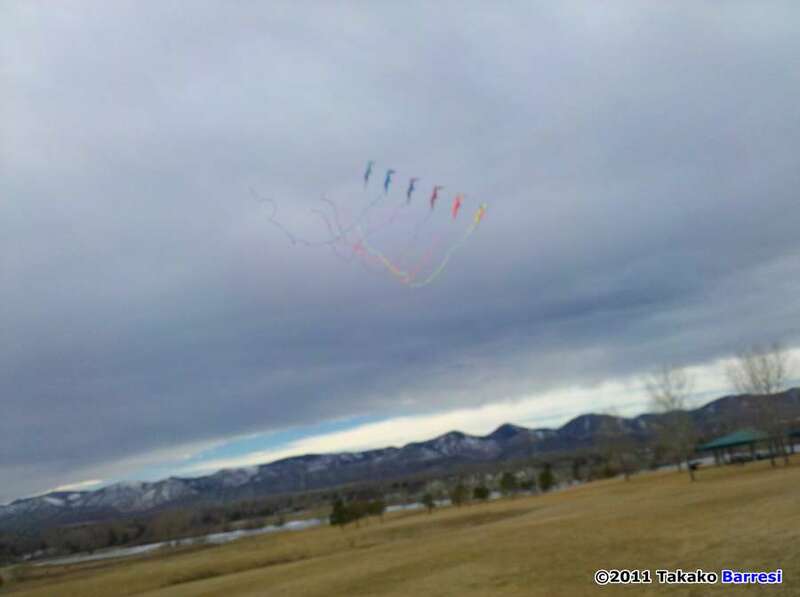 There’s an active bunch of Kitefliers whom live and fly in the Denver Metro, Northern Colorado (Fort Collins, Longmont), and Colorado Springs areas, the Mile High Kiters of the Rocky Mountain Kite Association. 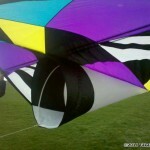 We fly all genre of kites. 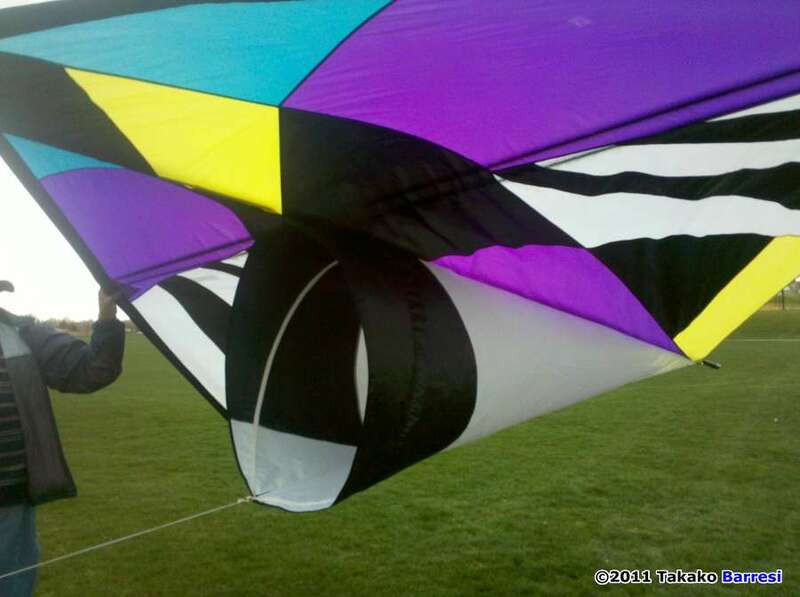 A majority of our club flies dual line Sport or Stunt Kites. With many days of zero to 6 mph. 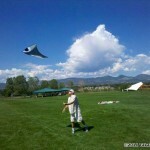 winds, we have been buying kites like the Skyburner “OCIUS”, Prism 4D, and other types of SUL’s. However, the wind can gust above 25 mph. at any given second on some days. 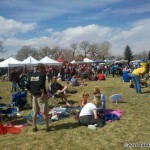 We purchase plenty of spare spars here in Colorado! RMKA member Paul Glasspoole always asks us if we need anything from Into The Wind when he makes the trip to Boulder, less than an hour drive for most of us. It’s all or nothing here, as on the warm winter days, before a storm moves in during any season, or when a thunderstorm approaches in the summer, we have windy days. 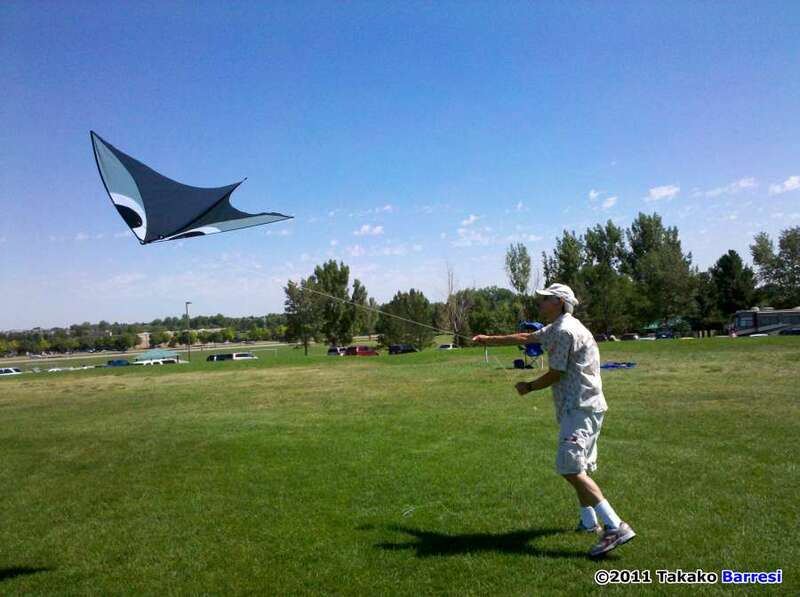 RMKA member Mark Mugge flies traction Parafoils up to 8 or 10 meters and usually stands or sits in a chair stationary and has a trainer foil set up to teach anyone interested in learning to fly a quad line power kite. 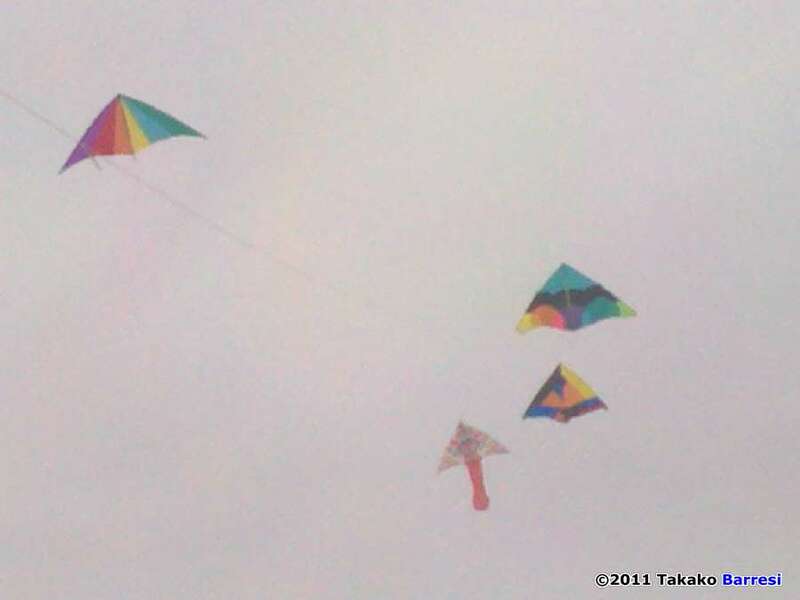 In high winds, Mark will pack up his full size boarding kites and fly the 3 meter Trainer, and the Stunt Kiters will put their Deltas away to save the spars, and bring out their Trainer Foils. 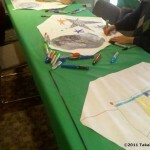 I will bring out my 18 and 20 meter water kiteboarding type LEI “C” Kites. Only in light wind with helpers to rescue me! We have 3 of us that I know of, that “Crossed Over” to that “Bow Tie” that we all love here at Kitelife. Mostly REV PRO’s. 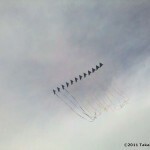 I’ve seen Alan Connelly and Joe Becker flying their Revolution kites and nothing else lately. 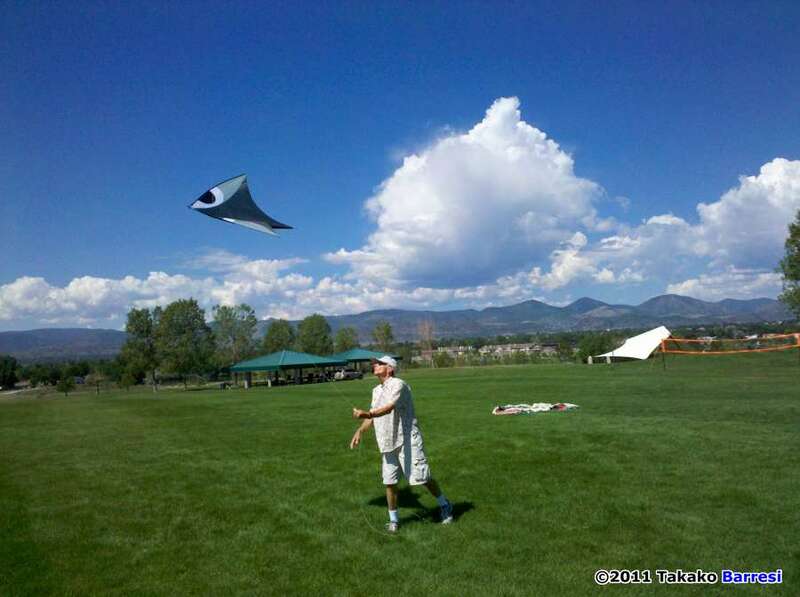 John Farrell, a well known Kiter from Fort Collins has been flying Rev’s for years, and has been trying to get more of us to join him for Indoor flying. 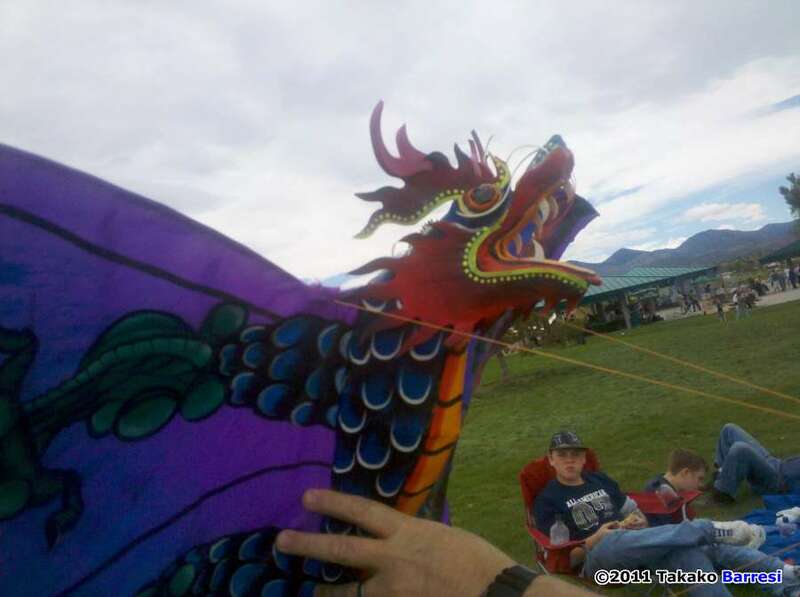 John founded the Fort Collins Kites in the Park festival, he lives in the Pacific Northwest in the summer months. 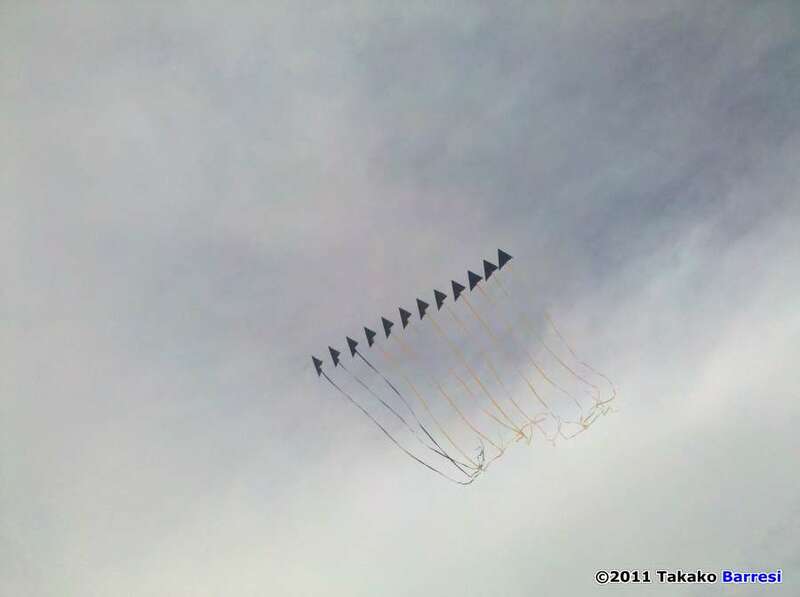 When not flying stunt kites, RMKA “Vice President” Howard Bashant flies single line Wala Aerobe kites. These are indoor capable and “glide” with the pulling of the line. 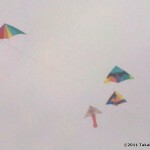 A few of us fly Single Line Kites. I fly India type Fighters and make Deltas and Fighters. Karen Snider flies giant Deltas. 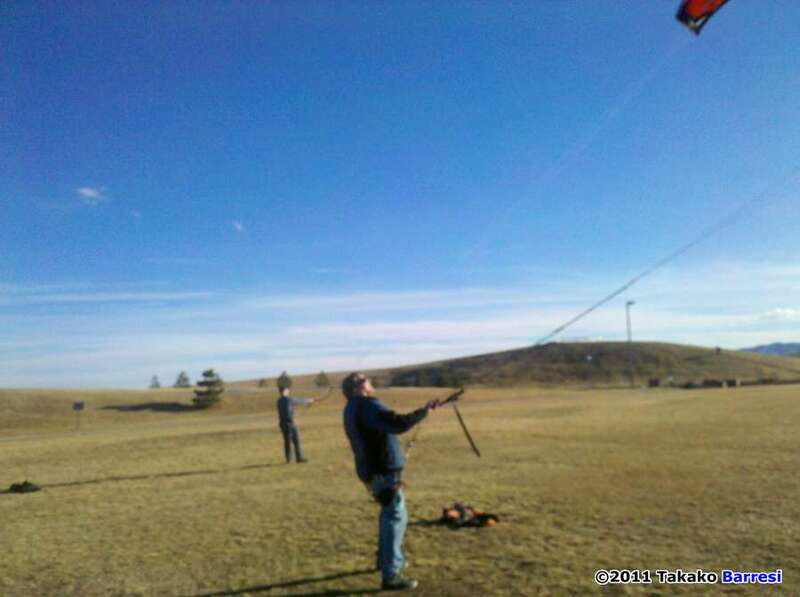 I’m hoping more of our Kiters will make and buy more large kites. 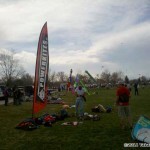 Started as the Rocky Mountain Kiteboarding Association in 2008, I took over our Meetup.com group in 2009 by paying the organizer subscription fees when the kiteboarder founder abandoned the group by nonpayment. 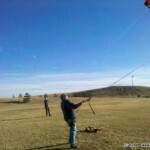 I later replaced “Kiteboarding” with “Kite” in the name, to include all types of kiting and move the group towards being a traditional kite club, also to not infringe on the original Rocky Mountain Kiteboarding Association which still exists as a Yahoo Groups group but rarely posts anything. 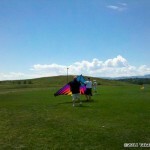 We still have about 100 members whom joined as kiteboarders or people whom wanted to learn kiteboarding. Although some would disagree, I think it’s in our best interest to include kiteboarding, buggying, snow kiting. landboarding as part of us, with the exception of liability. People are drawn to kiteboarding and many of them resort to our other forms of kiting as it’s more affordable and simpler to fly a kite in the traditional sense. 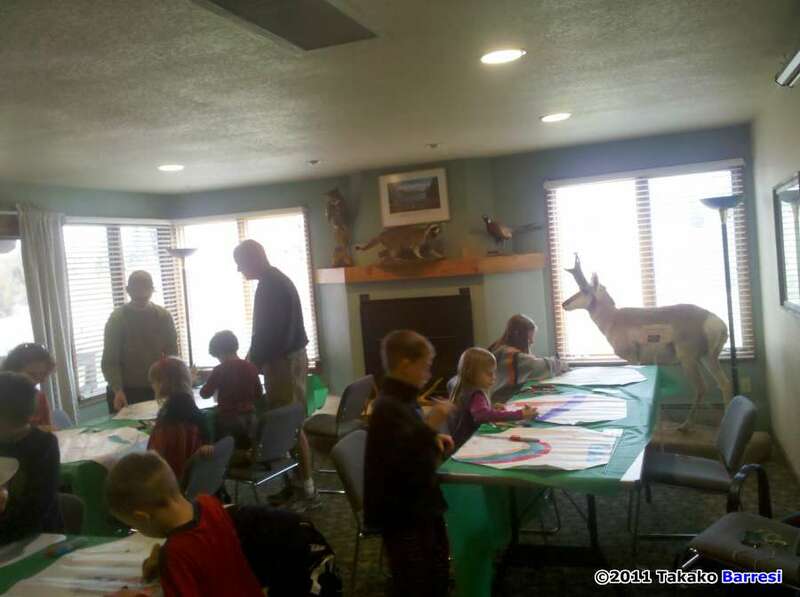 Our three monthly club flys. We meet regardless of weather conditions. 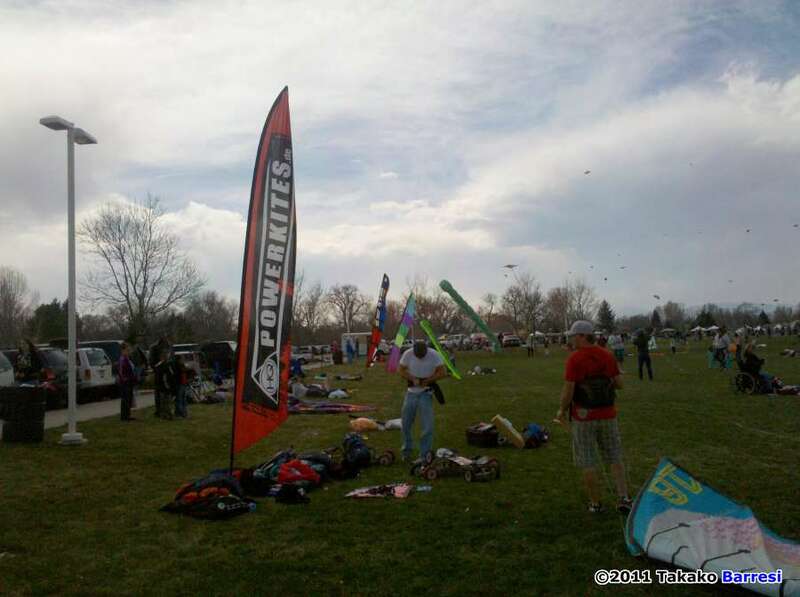 For more information or to confirm you will be attending our kite fly and inquire about any changes please call (720)237-2727 First Sunday monthly, Stapleton Central Park, where Team iQuad and Alan Sparling flew for the “One Sky One World” Festival last October. By popular demand from Kiters, we frequent this field daily, and always talk about “iQuad Lake” where a few REV’s have been “Baptized” by their enthusiastic Pilots! 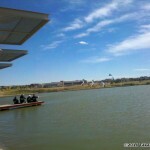 Former location of Denver International Airport, the field we fly in is a public park that is part of the redeveloped airport property. 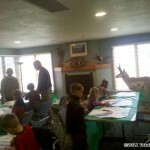 Second Sunday monthly, Sandstone Ranch Park in Longmont. 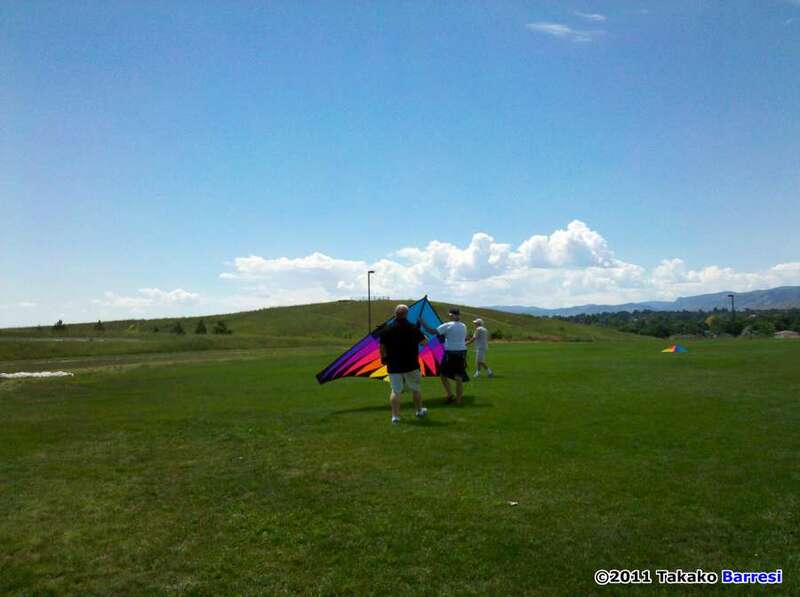 Our Foothills Kite Club home field since 2006, this Northern Colorado field has drawn Kiters from everywhere to these huge sports fields and park. 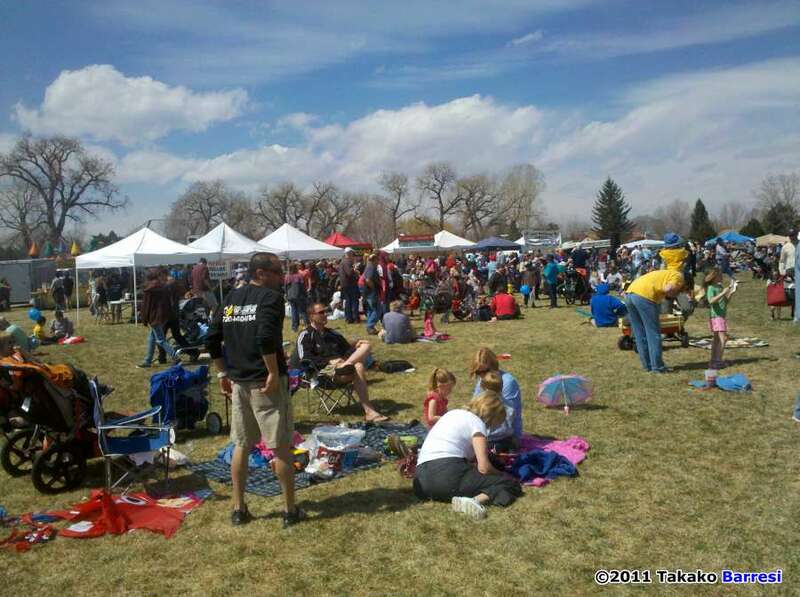 Third Sunday monthly, Clement Park in Littleton Colorado. At the Columbine Memorial area, the winds in the southwest part of Denver seem to gust up a teeny bit more than other parts of town. 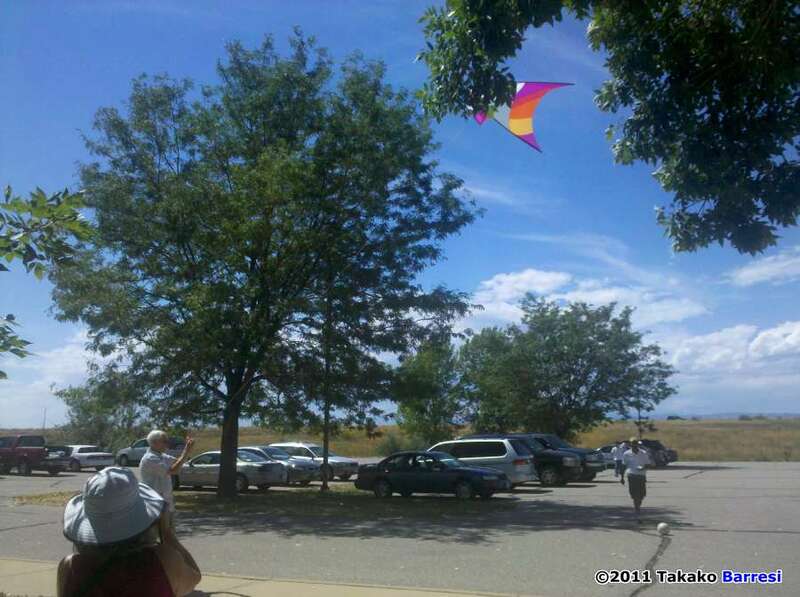 In June, we flew at Robert Easton Park, which is at the western edge of the urban corridor, when a concert was using Clement Park.We may move the Fourth Sunday to this Dakota Ridge location, where there is much more room for Buggies even. 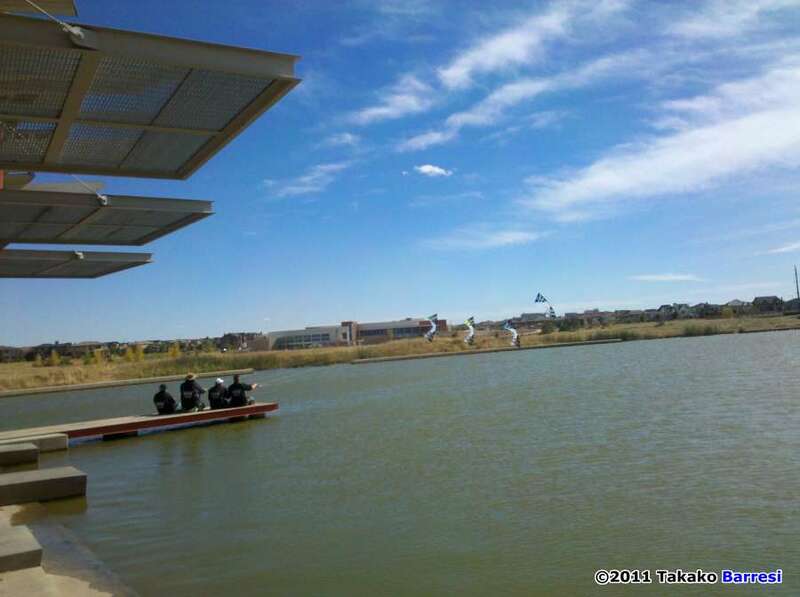 We do love our Clement Park, which is near Columbine High School. 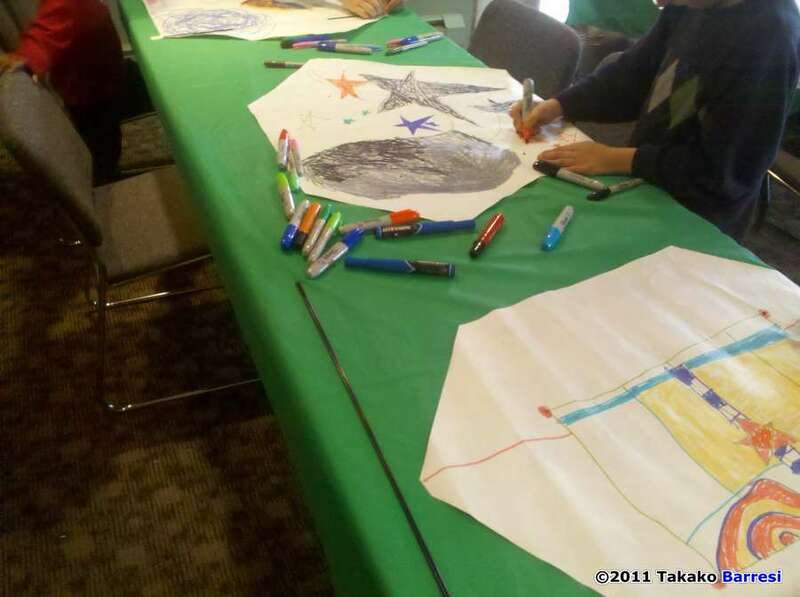 We fly there in memory of the shooting victims, and will always be around as positive role models for our youth. 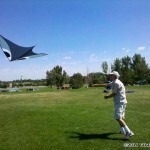 In the Summer, Clement Park has events that occasionally interfere with our Fly. However, the Robert Easton / Dakota Ridge field has Lacrosse games and Football in the fall. 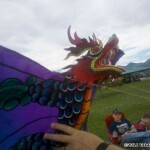 This entry was posted in 2011, Issue 79 (Jul/Aug), KL Archive and tagged club, Colorado.